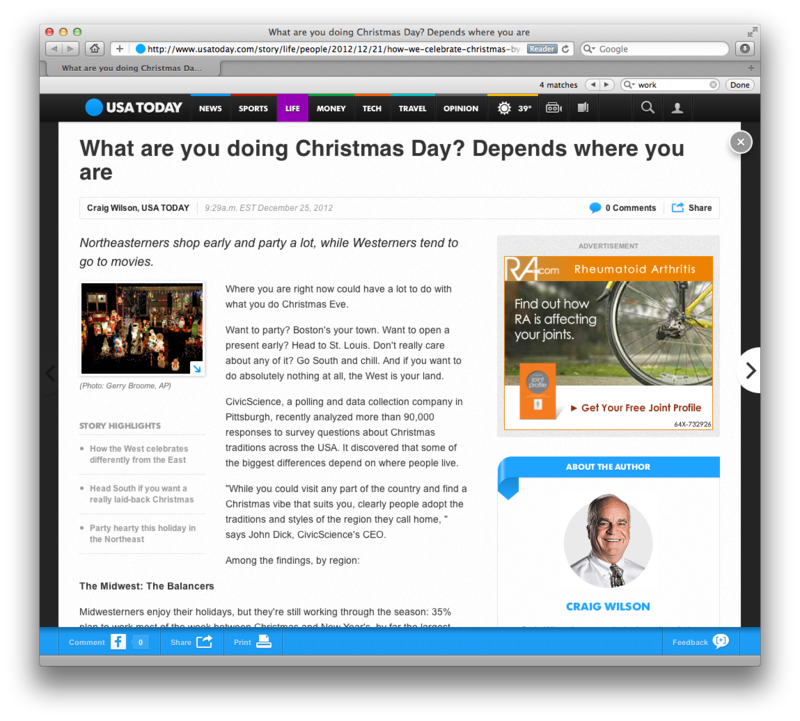 There was an interesting article in USA Today on Christmas Day. 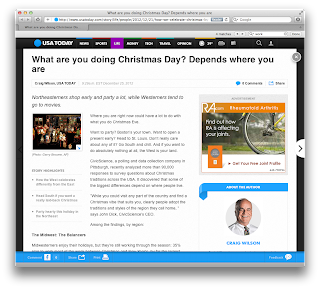 It breaks down how the various regions of the United States celebrate the holidays differently. For example, we in the Northeast are more likely to attend a Christmas Eve party and have Christmas dinner at a friend's or family member's house. Southerners are more likely to host Christmas dinner and Westerners are twice as likely to travel more than 100 miles for the holiday and attend the smallest Christmas Day gatherings of any region. But the most interesting part of the article for me was what these people are doing now, between Christmas and New Year's. While Southerners are the least likely to work between the holidays, more people in the Midwest are working through the season than anywhere else in the country. 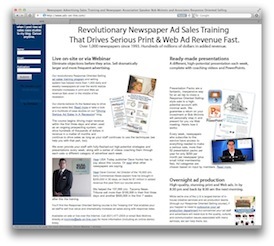 So, if you're in the Midwest, not only are you more likely to be reading this at work, but many of your prospective advertisers might also be at their place of business—including those who work in offices. It might be a good opportunity to catch them up on your latest offerings.